Stigma has always cast its long shadow over medical marijuana and in Arizona, this is no exception. Many brave people worked unsuccessfully for years to bring patients legal medicine, until it barely passed with 50.13% of the vote in November 2010. With half of Arizona voters against the measure, it was only a matter of time before something went wrong. Recently, Arizona has resumed its political tug of war over medical marijuana, and it looks like patients, and those who provide their medicine, still have more work to do. 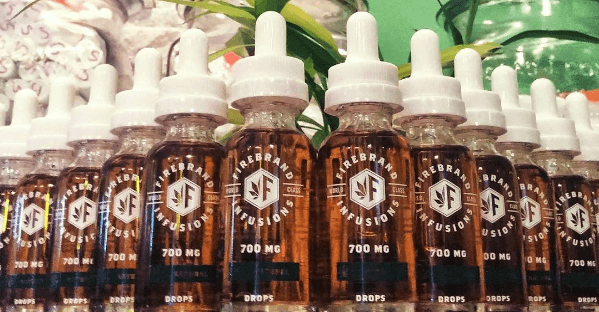 One of the pioneers of medical marijuana in Arizona has been Firebrand Infusions, a cannabis company that says it prides itself on putting its patients first. Firebrand, headquartered in Prescott Valley, is no stranger to legal battles. One case, in particular, has captivated the industry and its concerns have managed to echo across state lines. “On June 26th 2018, a Yavapai County Court of Appeals upheld the conviction of a medical marijuana patient named Rodney Jones for possessing a small amount of marijuana extract. Prior to this ruling, the medical marijuana industry had widely regarded the issue as settled in 2014, by Welton Vs State Of Arizona, when Maricopa County Superior Court ruled marijuana extracts were in fact covered under the definitions set by the Arizona Medical Marijuana Act. However, Yavapai County prosecutors disagreed with the ruling in Maricopa County and continued arresting patients. Like the Welton case, Yavapai prosecutors argued that cannabis extracts were not covered under the Arizona Medical Marijuana Act, because the criminal code has two separate definitions for marijuana and extracts and the AMMA only legalized “marijuana” for qualified patients. Jones defense was unable to convince the Yavapai Court that extracts were also covered under the AMMA definitions. On behalf of nearly 200,000 medical patients in Arizona, MITA and our contributing members would like to thank Philip Baca and Firebrand for standing up for patients who are stigmatized and helping shape a strong future for medical marijuana in Arizona. Let us all remember that this battle is still being fought and your participation is needed too. Let’s continue to push until there is no more opposition. Cannabis is here to stay in Arizona and that has a lot to do with you.